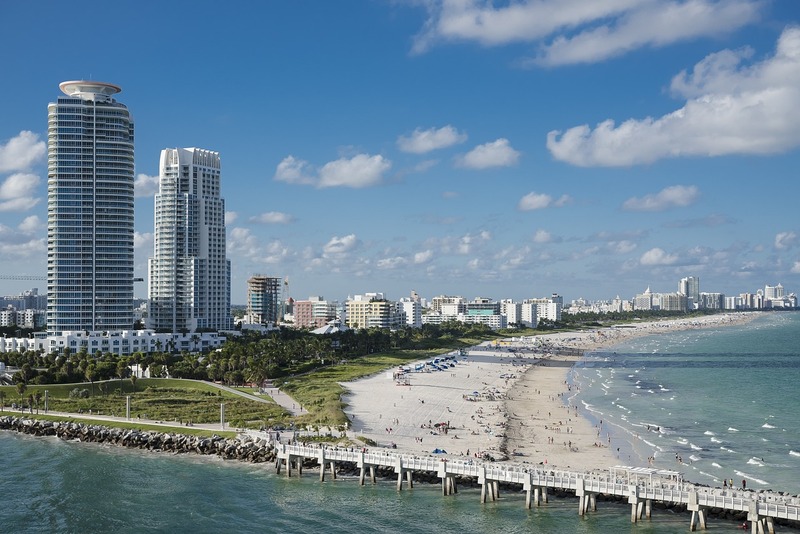 The best cheap business class flights to Miami from London we found for a client this month were for an excellent £1,498 return. Get today’s best deal by simply completing the form on this page and we’ll get back to you quicker than you can say “Crockett and Tubbs”. British Airways, Virgin Atlantic and American Airlines all offer direct business class flights to Miami from London Heathrow. Air Europa offers direct flights from Gatwick’s South Terminal to Miami International. Our top pick for the London to Miami route would be Virgin Altantic, which utilises the ultra modern Boeing 787 Dreamliner fitted with 31 Upper Class Suites. You’ll benefit from a complimentary chauffeur-drive service to the airport, as well as access to the Upper Class Wing at Heathrow. 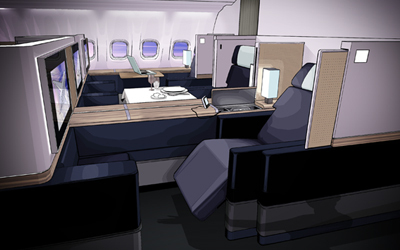 Onboard the aircraft you’ll be able to enjoy drinks in the redesigned Upper Class bar and stay connected with WiFi throughout the aircraft. The British Airways service runs twice daily utilising a Boeing 747, while American Airlines operates with a Boeing 777 aircraft. Miami airport has a car rental centre, which you can access using the MIA Mover, which can be accessed using the 3rd level Skyride in the airport. Here you’ll find all the global car rental companies, including Hertz, Avis, Budget and Enterprise. Alternatively you can hop in a taxi at the designated taxi stands on the lower level curb outside of the baggage claim area. There are two options for taxi rates – flat rate fares based on zones, or metered fares, which are $6.90 for the first mile and $2.40 for each additional mile. If you wish to take public transportation you’ll need to take the MIA Mover to Miami Central Station, where you can catch the Metrobus, Metrorail or Tri-Rail. More info can be found here. Hotels in Miami are known for their chic pools and swanky rooftop bars. The Four Seasons Miami is highly rated amongst travellers, boasting a 2-acre pool area with cabanas, spa and modern dining facilities. The hotel can be found in downtown Miami just a block from Biscayne Bay, which is ideal if you’re in the city on business. If you plan on staying in South Beach, it doesn’t get better than the 1 Hotel South Beach, where the rooms are built out of reclaimed woods and offer spectacular views of the Atlantic ocean. The hotel’s Beach Club is situated on 600 feet of white sand, offering two ocean-side swimming pools and a rooftop pool for those over the age of 21. Take business class flights to Miami for sun-drenched beaches, art deco buildings and a vibrant nightlife scene; just some of the things that attract millions of tourists to Miami every year. The city’s 1930’s architecture, vintage cars and mid-century modern hotels make you feel like you’ve walked onto a movie set, where tropical prints and pastel colours are the fashions of the day. There’s no doubt that Miami has an incredibly diverse culture with lots to see and do. Known as the gateway to Latin America, Miami is a popular starting point for cruises to the Caribbean, but it’s always worth factoring in some time to see the city before or after. Miami Beaches – The major draw of Miami is its miles and miles of palm-fringed beaches. Locals and tourists flock to the city’s white sandy beaches to surf, swim and enjoy some plain old fun in the sun. 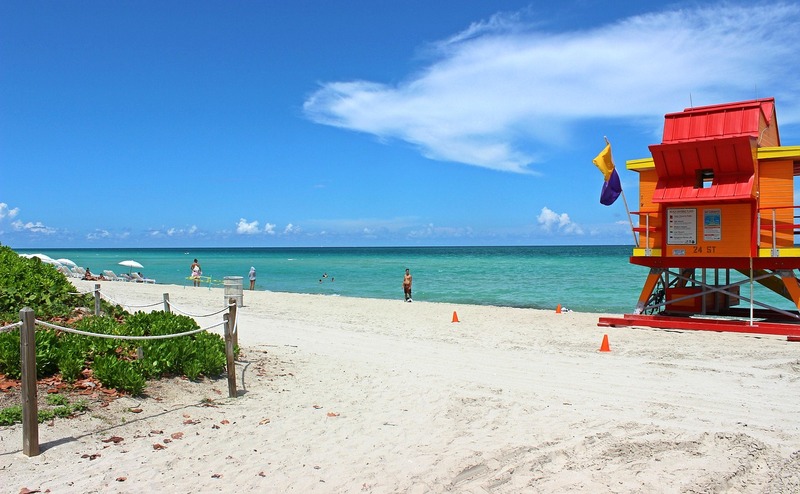 Popular beaches include Bal Harbour Beach, South Pointe Park Beach and Crandon Park Beach. Art Deco district – Lined along the ocean front by Miami Beach you’ll find architecture from the 1930’s, with plenty of art-deco hotels and pastel coloured buildings. This makes for a great place to enjoy a spot of lunch or an evening meal. Little Havana – Since Miami is the gateway to Latin America you’ll find a diverse mix of ethnicities living in Miami. Filled with colourful street art and casual restaurants, Little Havana will allow you to experience a touch of Cuban culture. British citizens can enter the USA under the Visa Waiver Programme (VWP), as long as the trip is for less than 90 days. You’ll need to apply for an ESTA online, which is valid for two years and covers leisure and short business trips. Miami experiences warm weather all year round, although beware of hurricane season, which lasts from June to December. While it’s likely you won’t hit any problems, Miami does get hurricanes every few years. Temperatures tend to be at their coolest in January, although you can still expect a nice 20 degrees Celsius. This time of year is extremely pleasant and ideal for a winter sun holiday. In August temperatures reach around 28 degrees Celsius and the climate tends to be more humid. The best cheap business class flights to Miami can only be found offline with a SkyClub agent, so please call us on 00442072551234 or complete the form on the page and we will be in touch with you immediately. Thanks for taking the time to read this article.